As we continue to look at preventative means to maintain a healthy lawn without the need of intervention from the uses of pesticides, we’re going to look at the problem of shade and lawns. While we’ve talked about shade and the importance of sunlight to lawn health elsewhere, it is also necessary to look at this issue from an Organic Lawn Care perspective as well. Shade is an issue for lawns for many reasons which begin with the intolerance of lawns to grow under shaded conditions. If a lawn were lucky enough to stay green in shaded areas – this will often lead to a weak lawn which will not be able to tolerate very much wear and tear, nor will it be strong enough to naturally fight off disease and weeds. 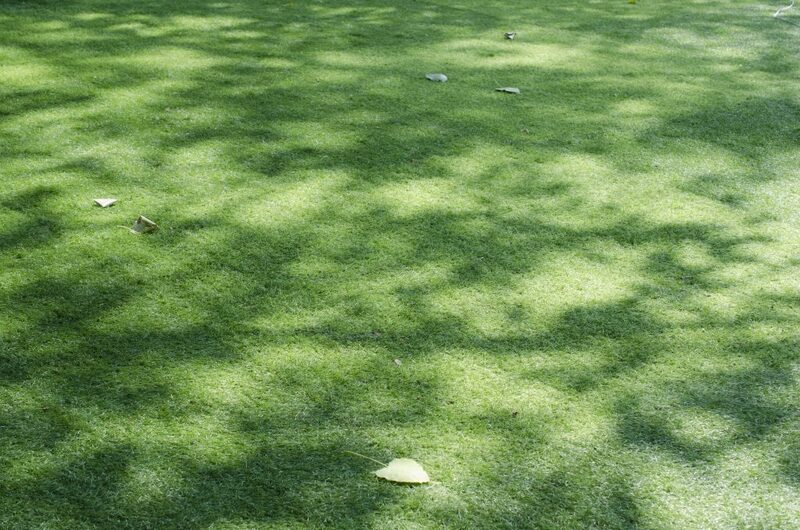 The next problem which occurs from shaded turf is that many lawns will often become bare or sparse in patches. This not only leads the turf to become rather ugly, but also becomes fertile ground for weed invasions. Once weeds begin to get established amongst the lawn – they will most easily spread over the rest of the lawn too. The final problem from shade is that the thatch layer and soil of the turf often stays moist for longer periods of time, or perhaps will stay moist permanently. This problem leads to this grass area becoming a perfect breeding ground for all lawn diseases, as well as to the growth of moss. And none of these things are good for our entire lawn, so let’s look at ways to fix these shade related problems, so these problems never occur, and therefore never need treatments – with prevention being the cornerstone philosophy of Organic Lawn Care. So now we know the importance of reducing shade to our lawns, let’s look at the options available to us, so we can best choose the right path forward for our own home environments. Pruning surrounding foliage to let in more direct sunlight is always the very first step to increase direct sunlight to our lawns. Growing a different lawn type which is more shade tolerant may be the best option for your home. Refer to our Quick Lawn Selection Guide to chose the best shade tolerant variety for your area. Another option is to reduce the amount of water which reaches the areas of lawn that are in shade. Try different sprinkler combinations and watering times to achieve this. The reduction in water in these areas will aid in reducing invasion by lawn disease. 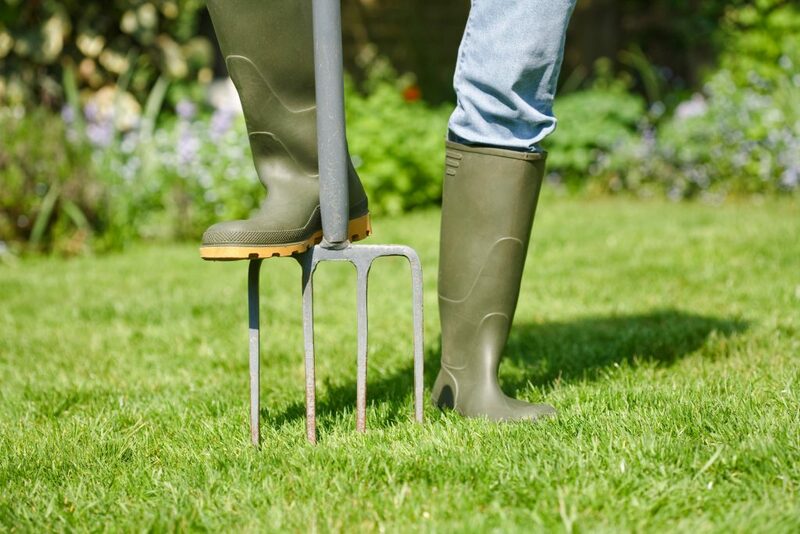 Soil aeration is great for all lawns, but becomes more important in shaded conditions to ensure a greater free flowing of water away from the area. If the soil is clay based or otherwise holds onto water, then a free flowing sand can be raked into the open holes after lawn coring to improve soil drainage.